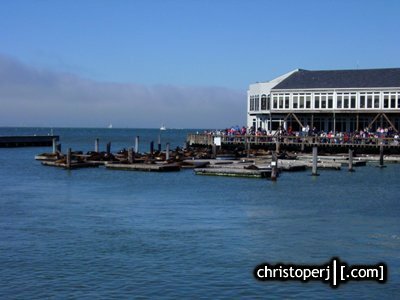 While waiting for the ferry to Alcatraz, i took a few pics of the Fisherman's Wharf area. 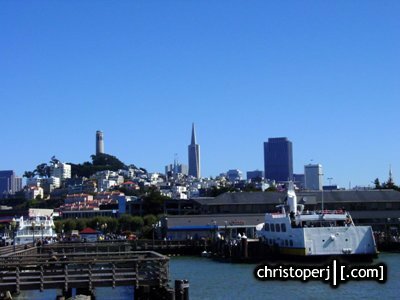 View of Fisherman's Wharf docks from the Alcatraz Ferry docks. Telegraph Hill and Coit Tower are on the left. 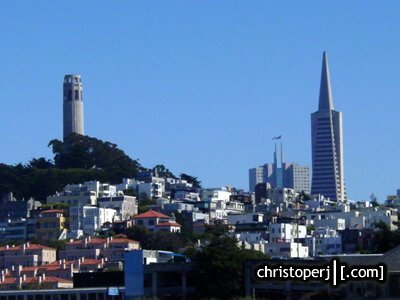 The Transamerica pyramid building is the one in the middle. 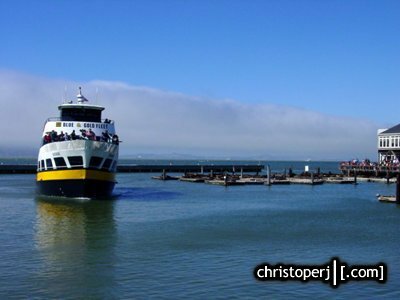 . .
. . .the Alcatraz ferry coming around the docks. . .
. . .many sealions relaxing on the docks. 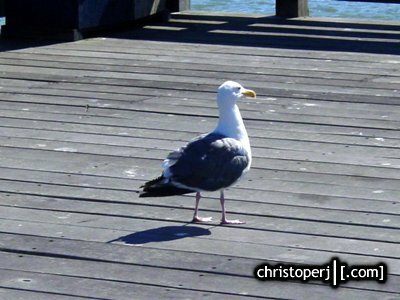 . .
. . .random gul walking by.